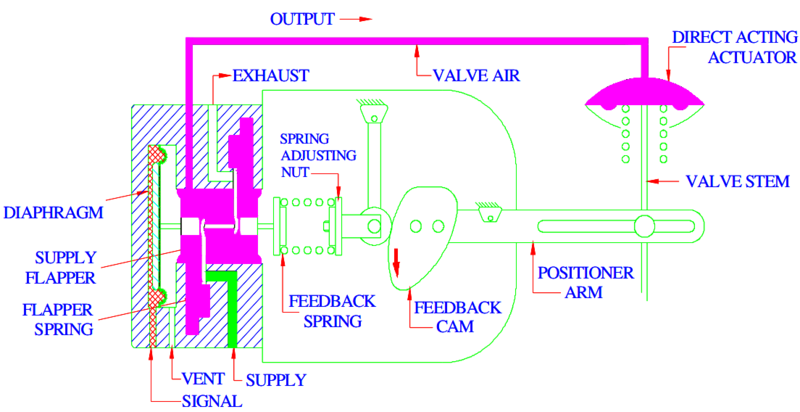 The Pneumatic Valve Positioner is an instrument working on force balance principle to position the Control Valve stem in accordance to a pneumatic signal received from a controller or manual loading station, regardless of packing box friction, actuator hysteresis or unbalanced forces on the valve plug. 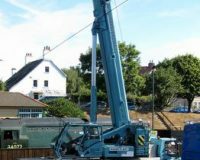 Thus, the positioner ensures a reliable and accurate operation of Control Valve. The Valve Positioner is force balance device which, ensure the position of the plug, which is directly proportional to the controller output pressure. 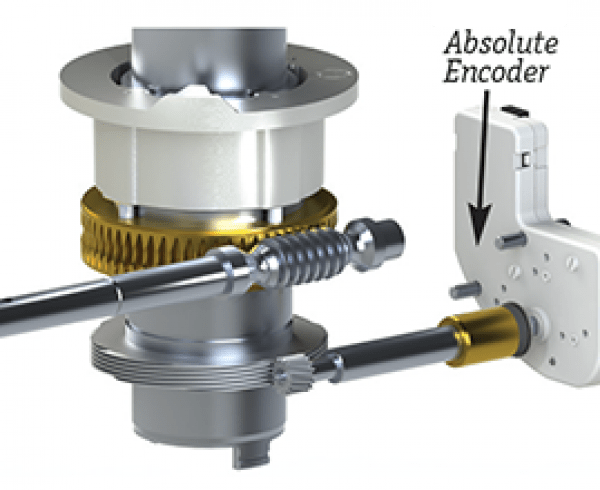 The Positioner compares the forces generated by the control signal and the control valve stem through the motion connector and the feed back cam, and accordingly it feeds or bleeds the air going to the valve actuator. 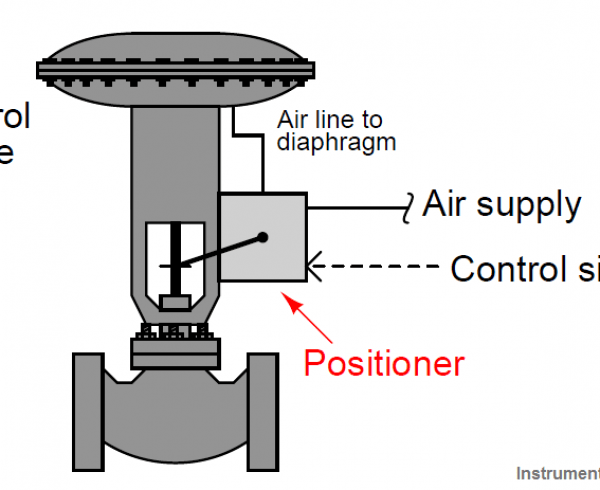 The instrument air signal is applied to the signal diaphragm. An increase in signal will drive the diaphragm and flapper-connecting stem to the right. 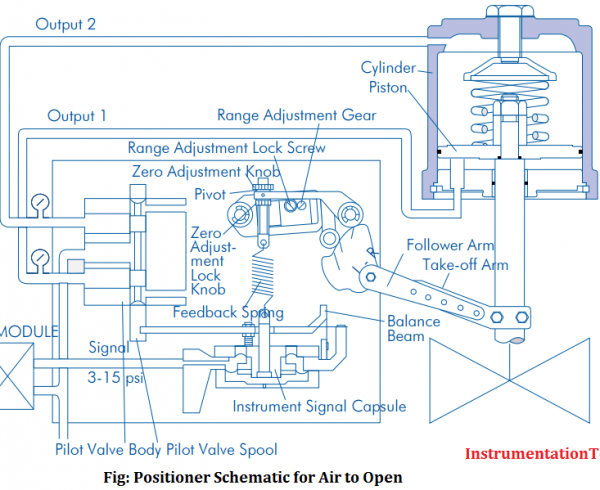 The flapper-connecting stem will then open the supply flapper admitting supply pressure into the output which is connected to the actuator diaphragm. The exhaust flapper remains closed when the flapper connecting stem is deflected to right. 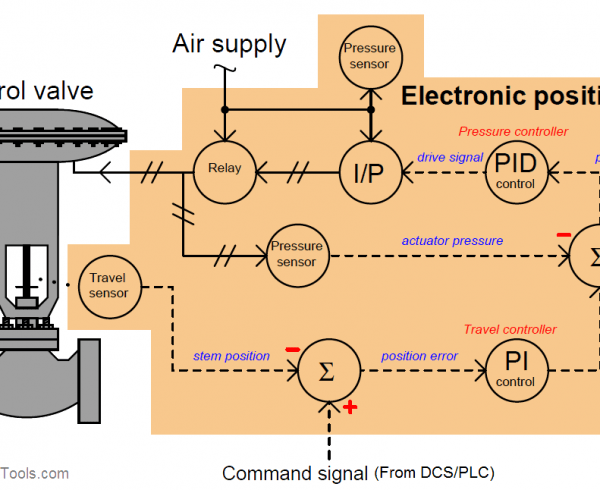 The effect of increasing signal is to increase the pressure in the actuator. 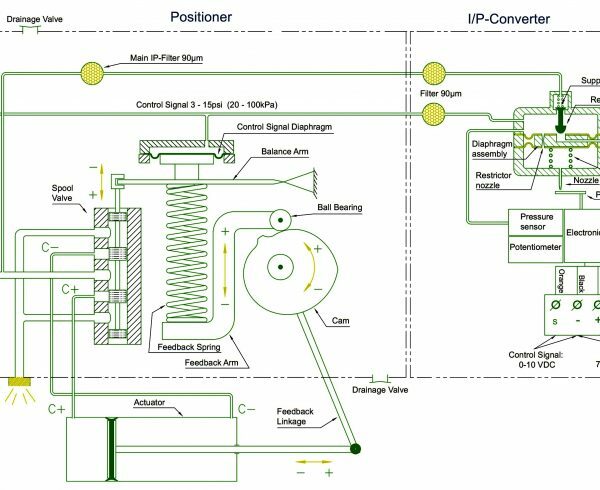 This increased pressure in the actuator drives the valve stem downward and rotates the positioner lever clockwise. This clockwise rotation of the lever results in a compression of range spring through cam. When the valve stem reaches the position called for by the controller, the compression in the range spring will give a balance force resulting the closure of both the flapper. 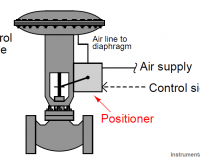 If the control signal is decreased, the force exerted by the signal diaphragm will also decrease and the force from the range spring will push the flapper-connecting stem to the left, opening the exhaust flapper. 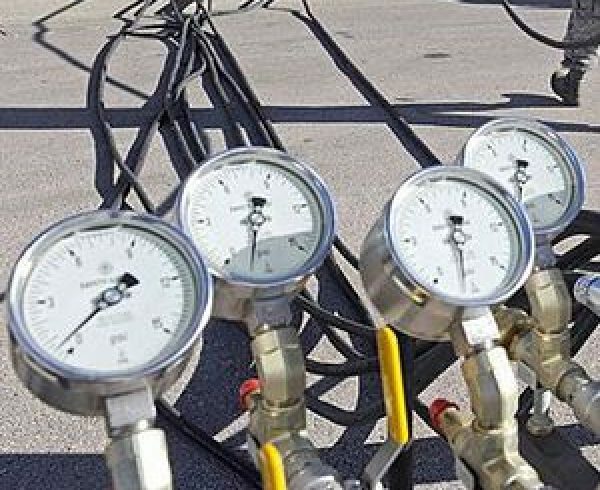 This causes a decrease actuator diaphragm pressure and allows the valve stem to move upward until a new force balance is established.